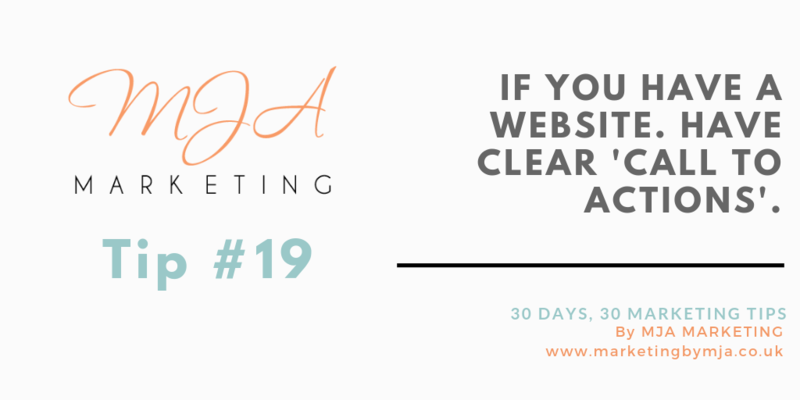 ← Marketing Tip 18: If you have a website, use your meta tags. Marketing Tip 19: If you have a website, have clear ‘call to actions’. Marketing Tip 19: If you have a website. Have clear ‘call to actions’. This entry was posted in 30 days, 30 marketing tips, Digital Marketing, Website Design. Bookmark the permalink.